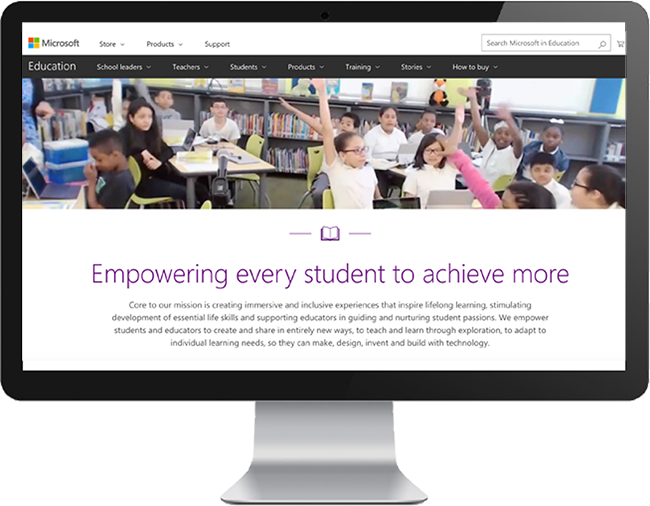 The education business unit of Microsoft was active on social media but didn’t have a program strategy or understanding of how its channels were performing. Pan Galactic knew that in order to measure results, the agency would need to work with the team to develop KPIs. After auditing the social program and identifying opportunities, Pan Galactic developed a social media strategy to support the Microsoft education unit’s overarching business and marketing goals. This included directives to revise the editorial agenda, reframe KPIs and launch on two social platforms—LinkedIn and Pinterest—in the coming year. To make sure each platform continues to meet each KPI, Pan Galactic provides monthly social media analytics reporting and recommendations for optimization and an annual strategic plan and playbook. As such, Microsoft has a social media program that not only contains engaging content, but also helps to meet the client’s business goals.